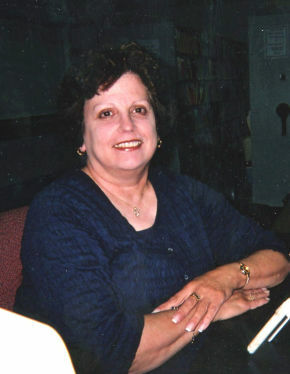 Jane E. (Buckman) Tebbetts, age 70, of Hawthorne, NJ passed away on Monday, January 21, 2019 surrounded by her loving family. Born in Paterson, she resided in Fair Lawn before moving to Hawthorne 15 years ago. She was a volunteer with The Valley Hospital in Ridgewood. An avid Bingo player, she enjoyed craft shows and spending time with family, especially her grandson, Alexander. She was a crossing guard with the Borough of Hawthorne and previously was an associate with Valley National Bank in Wayne for 25 years. Loving and devoted mother of Phillip M. Tebbetts, Paul C. Tebbetts and girlfriend Danielle and Jennifer (Tebbetts) Hoffman and husband Gene. Cherished grandmother of Alexander Hoffman. Dear sister of Patricia Felice and husband John. The family will receive relatives and friends Thursday, January 24, 2019, 4-8 pm with a 7pm service at Vander Plaat-Caggiano Funeral Home. Cremation private. In lieu of flowers, donations in memory of Jane to the American Cancer Society, P.O. Box 22718, Oklahoma City, OK 73123-1718 would be appreciated. To the Tebbetts Family, My deepest synpathy for your loss. I know these past few months must have been tough for your mom and hope she's found peace and comfort finally. I'm glad also she was able to spend a last Christmas with those she loved. My heart breaks for you all...sending love and prayers!! Love y'all!! We will miss you, Rest In Peace.